It is more than twenty years since I last visited a major seabird colony and I had almost forgotten how spectacular they can be. 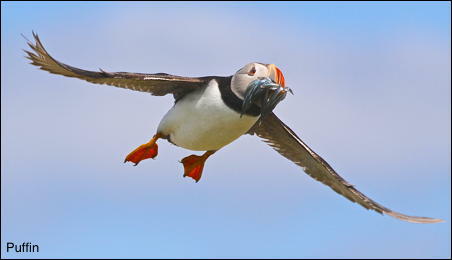 During that brief spell of hot weather in late June I decided that it was time to visit the Farne Isles to capture flight shots of Puffins carrying fish. Something that was almost impossible to do in the pre digital age.